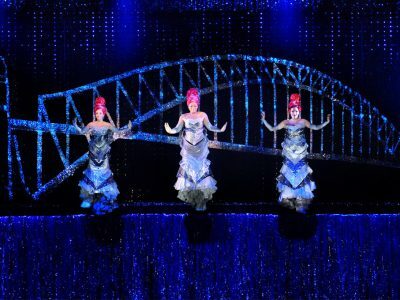 The addition of three Divas into the Priscilla Queen of the Desert Musical was a masterful creative stroke, allowing the principals to stay true to their lip-syncing roots for some of the show’s key moments. We took our three sensational divas – Samm Hagen, Cle Morgan and Angelique Cassimatis – into the recording studio and let them loose on a mash-up of classic Priscilla tunes. With over 150,000 views to date, it’s our most popular Priscilla videos this season!